More and more companies are starting to appreciate the importance of diversity in the boardroom though the battle is far from being won just yet, according to a Birmingham business leader. 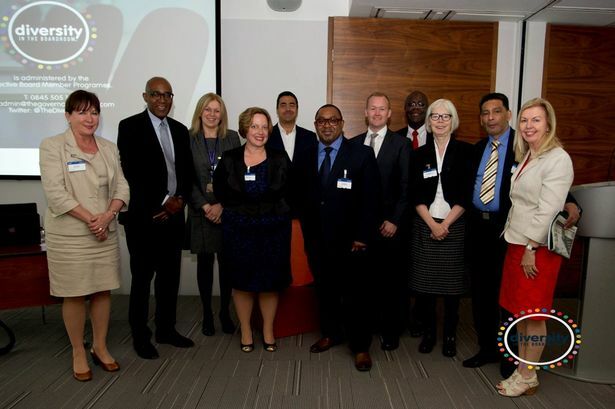 That was the verdict Karl George at the launch of the Diversity in the Boardroom (DiB) campaign at KPMG’s Birmingham office at One Snowhill. The campaign came about as an extension of Mr George’s Effective Board Member Programmes, an award-winning initiative which helps talented young women and people from black, Asian and minority ethnic (BAME) backgrounds rise to the top of the corporate ladder. The programmes are designed to redress the imbalance in the boardroom that currently exists when it comes to diversity. Business leaders from across Birmingham gathered at the launch of the DiB campaign, hearing presentations from Trevor Phillips OBE, former chair of the Equalities and Human Rights Commission, Stephen Frost, head of diversity and inclusion for KPMG UK and Raj Tulsiani, CEO at Green Park. The UK Corporate Governance code has described diverse boards are one of the tenets of good governance but the reality has yet to match that wish. According to Green Park’s Leadership 10,000 report just one in twenty top leaders come from BAME backgrounds, meaning there is still much work to be done. Mr George said he was impressed by both the number of companies that supported the event and agreed to take action. He said: “I was encouraged by the level of commitment from all the companies. But he agreed there was a still a long way to go. “I don’t think we are winning the battle,” he said. “The talent pool for people eligible to get on to those boards, the pipeline is diminishing whether it is women or ethnic minorities. I don’t think the statistics are going the right way. “We have to do more for people who have the potential to be board members. Mr George added: “Recruitment for board members should be based on competency, skill and experience. “Competent board members are the most valuable resource in any organisation. Speaking at the event, Mr Phillips, who wrote and presented a recent Channel Four Documentary ‘Things We Won’t Say About Race (That Are True)’, suggested difficult diversity issues have been ducked for the last five or more years. He said organisations needed to focus on data, insights and innovation and that there should less emphasis on “shooting the alligator” and more on “draining the swamp”. A number of organisations including the Institute of Directors (West Midlands Region), The Professional Footballers’ Association, Midland Heart, Greater Birmingham Chambers of Commerce, BPS Birmingham and KPMG have already taken the DiB pledge. The campaign is backed by a strategic working group including representatives from Greater Birmingham Chambers of Commerce, IOD West Midlands Region, Birmingham City Council, Trident Social Investment Group, BRAP, Urban Communications, Nehemiah UCHA, Common Purpose, Trinity Mirror, KPMG, the Governance Forum, Central Consultancy and Training, Midland Heart, Green Park and BPS Birmingham. For more information about taking the DiB pledge email admin@effectiveboardmember.co.uk.